Few weeks back I started a new section called coding on my blog. If you follow my blog you would have seen that there wasn’t much activity and posts around that section as promised. Its not that I have stoppped reading algorithms and just doing so called cool stuff, the reason for not making regular posts in that section is that most of the times when I read an algorithm, its implementation in C++ is given along with it. So writing the same code again isn’t interesting, but I feel like implementing the algorithm and make a blog post whenever I read something new. To deal with this problem, I am planning to do a GoSprint. In coming days whatever algorithm I read I’ll post Go source code for its imlementation. This will allow me to implement the algorithm I read and also help me get a better grip on language. 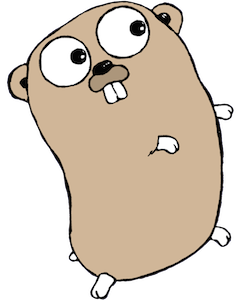 I initiated a repository GoRhythms on GitHub which will contain all the code snippets, also I am renaming the coding section on my blog to GoRhythms since all the algorithms will now be posted under this section. Shout out to all the Gophers out there, pull requests welcomed !